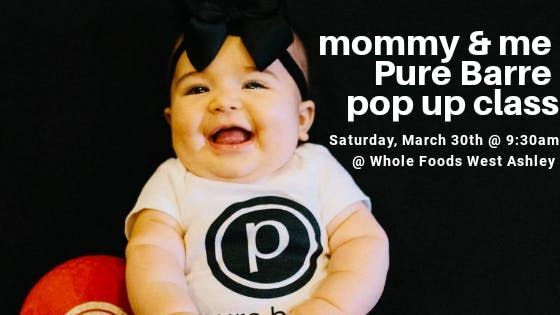 Join Pure Barre West Ashley for a Mommy & Me Pop Up Class at Whole Foods West Ashley! Saturday, March 30th 9:30am, $5 donation. Bring a yoga mat and bottle of water and your baby in your stroller (optional of course!). Class will focus on the most effective and safe ways to workout during and after pregnancy. Cost: $5 donation! All donations go to Carolina Children's Charity - commited to meeting the needs of local children with birth defects and/or childhood diseases since 1987. Class is limited to 20 people, so sign up today to reserve your spot! Plus we will be raffling off prizes from our special guests: Megan from Rome Physical Therapy and Kaitlyn from Corrective Chiropractic. Both will be available at the class to answer all of your pre / post baby questions! 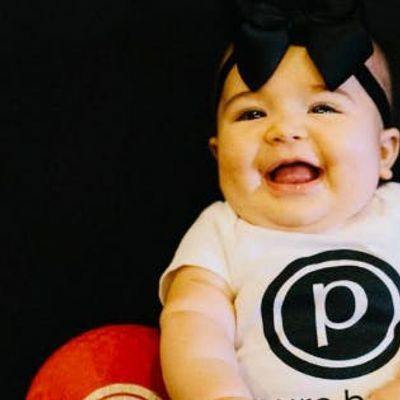 Pure Barre Mommy &amp; Me Pop Up Class @ Whole Foods West Ashley!